Bonus! 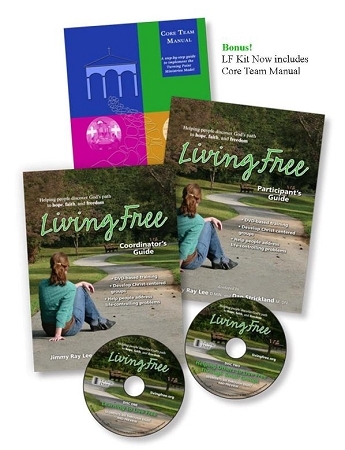 Now includes Living Free Team Manual! Prepare your congregation to minister to today's addictive culture! Through Living Free, your church or ministry can unleash a fresh wave of small group leaders. 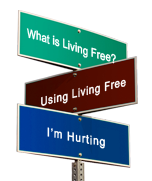 A Coordinator's Guide and Participant's Guide have been designed so that you will receive maximum benefit from the Living Free video-based training. At the end of this training, you will have the knowledge and practical strategies necessary to better: understand life-controlling issues - how they develop and the impact they have on individuals and families; prevent life-controlling problems or deal with them in your own life; help others with life-controlling issues. One DVD synchronized to the workbook. One Living Free Team Manual - Step-by-step instructions for launching a Living Free Ministry in a local church. What's new in the updated version? Shortened in length without eliminating any of the important principles. Now 8 sessions! Updated look and sound.New testimonies added to many of the original ones. Separate English and Spanish kits. English narration done by Ruth Graham, daughter of Billy and Ruth Graham. Ruth has personally experienced life-controlling problems and has walked through her own challenges. Her heartfelt narration is both touching and inspiring. It helps the viewer understand that anyone can experience a life-controlling problem ... and that the only help available is through Christ. Spanish narration done by Rev. Hector Escobar. In the original version, the Spanish translation of the narration was dubbed over the English. In the updated Spanish version, the narration is actually done in Spanish. The Coordinator's Guide and Participant's Guide are done in the Living Free group format, providing an easier transition to leading Insight and other groups. Coordintor's Guide and Participant's Guide correlate page-for-page, making it easier to lead the training.